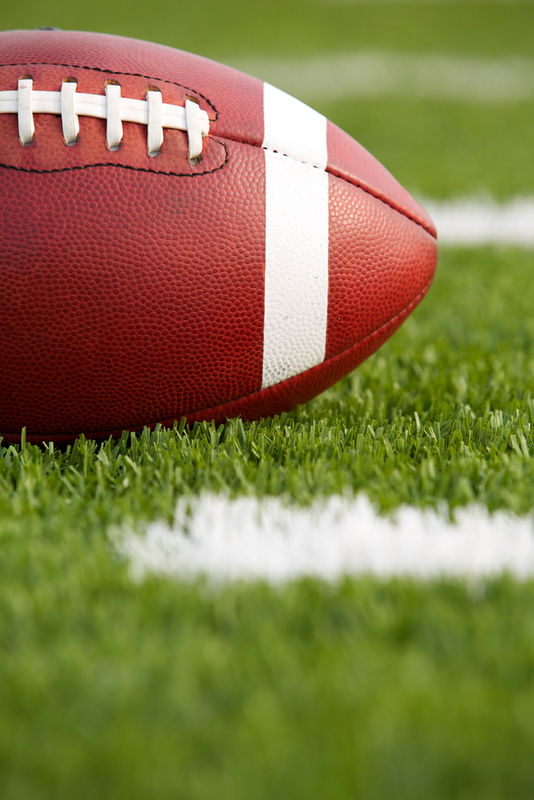 Katlen asks: Is it true that footballs used to be made of pigskin? What are they made of now? These days, footballs are typically made from cowhide or vulcanized rubber, making their nickname “pigskins” somewhat ironic. Football fans often perpetuate the idea that footballs used to be made of pigskin, which is how they got their nickname, but it turns out this isn’t the case. In fact, “pigskins” were originally made out of animal bladders—sometimes the bladder of a pig, which is thought to be how the moniker “pigskin” came about. Animal bladders were much more accessible to the average team than more expensive items like leather. When the bladder was inflated, it was mostly round and served well as a ball for gameplay. The only trouble was actually inflating it, which was a pretty disgusting task as you can probably imagine. Sometimes the bladder would be stuffed with things like straw or scraps of other material, but stuffing rather than inflating tended to lead to a strange shape that didn’t work quite as well in certain sports. Later on, the animal bladders were sometimes encased with leather of some type, though pig skin wasn’t commonly used. Luckily for all of the pro and casual football players out there, the practice of blowing up bladders to play ball fell out of practice sometime in the 1860s, around the time American Football was taking its first steps branching off from Rugby. This switch in material of the ball can be explained by the invention of vulcanized rubber in by Charles Goodyear in 1844. Eager to ditch the gross task of inflating the bladders, footballs started being made with rubber and cowhide, which made the sport a much more pleasant experience for everyone involved. It is likely that rubber footballs started to be used shortly after Goodyear patented vulcanized rubber, but animal bladders were still relatively commonly used into the 1860s. Since 1955, the official NFL footballs have been made at the Wilson factory in Ada, Ohio. Each football is handmade from cowhide sourced from Kansas, Nebraska, and Iowa. The hides are tanned in Ada with a “top secret football-weather-optimizing tanning recipe.” 130 people working at the factory produce nearly 4000 footballs every day. Each football is made up of four pieces and a synthetic bladder, and each cowhide can usually make up to 10 footballs. The ball was not an oval but was supposed to be completely round. It never was, though — it was too hard to blow up right. The game was stopped several times that day while the teams called for a little key from the sidelines. They used it to unlock the small nozzle which was tucked into the ball, and then took turns blowing it up. The last man generally got tired and they put it back in play somewhat lopsided. This difficulty with the shape of the inflated ball continued on; by the time the quality of the ball’s manufacturing had improved sufficiently to get the shape right, the oblong shape had been the norm for so long it stuck, with only slight tweaks to make it a little more pointy happening over time. The rest, as they say, is history. In 1951, the first year of night football, footballs were white with two black stripes so that players and spectators could easily see the ball in the dark. Advancements in stadium lighting were made, making the white ball unnecessary, and by 1956 they were officially replaced with the standard brown football we have today. The white stripes on some footballs are used to differentiate between collegiate and NFL games. While many people call footballs “pigskins,” the official nickname of the football used by the NFL is “The Duke” after Wellington Mara. Mara, who was named after the Duke of Wellington, was the co-owner of the New York Giants and the son of the founder of the Giants. The nickname was used between 1941 and 1969. It fell out of use in 1970 when the AFL and NFL merged, but bounced back into play in 2006, a year after Mara’s death. Wilson has been making the official football of the NFL since 1941. Official footballs have to meet certain dimensions to be used in a game: they have to be between 11 and 11.25 inches long, a long circumference of 28 to 28.5 inches, and a short circumference of 21 to 21.25 inches. It also must weigh between 14 and 15 ounces. The measurements aren’t uniform because the footballs are all handmade, so the rules allow for human error. Of course, quarterbacks in the NFL might wish for a little more exactness in the dimensions and weight. Colleges have the choice of using slightly smaller footballs in their games. EA Sports has released a Madden football video game simulation with the two teams competing in the Super Bowl every year since 2003. The simulation has predicted 8 out of 10 outcomes of the game correctly. In 2014, it predicted that the Denver Broncos would triumph over the Seattle Seahawks. In the United States, the Super Bowl is by far the biggest individual sporting event each year. The three most watched television broadcasts in U.S. history are three different Super Bowls, each estimated to have attracted over 100 million US viewers, though given the error bars in the Neilsen rating system, it’s possible the final episode of M*A*S*H beat one or more of those out with its estimated viewership of about 105.97 million people. The famous Super Bowl commercials today cost companies around $4 million to air, and that’s just for 30 seconds of prime time. That’s about $133,333 per second. The NFL was founded in 1920 in Canton, Ohio. Pro football had been in place since 1892, but there was a definite lack of order to the profession, which is what brought the founders together in the first place. Nice article. The part about the ball not being entirely round was told by Henry Duffield, a 10 year old at the second game, Rutgers at Princeton, on November 13, 1869 and won by the home team 8-0. He later attended Princeton. The November 6, 1869 game won by Rutgers 6-4 in New Brunswick, NJ used a round ball slightly smaller (about 10 inches in diameter) than normally in use. There was a brief objection lodged just before play began with it. 2017: commercials at $5 million per 30 seconds. “. . . making their nickname “pigskins” somewhat ironic.” I’d love to “find out today ” why this is in any way “ironic,” Emily. !